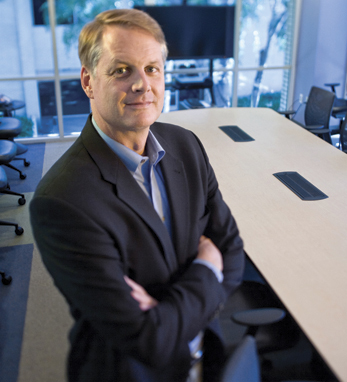 John Donahoe became president and CEO of eBay Inc. in 2008. In this role, he leads a global ecommerce and payments leader with revenues of $11.7 billion in 2011 and hundreds of millions of users around the world. John has driven a strong focus on innovation and customers across eBay Inc.’s core businesses, which include eBay, PayPal, GSI Commerce and X.commerce, the company’s platform division. John joined eBay in March 2005 as president of eBay Marketplaces, responsible for all elements of eBay’s global ecommerce businesses. In this role, he focused on expanding eBay’s core business. John also oversaw a number of strategic acquisitions, including Shopping.com and StubHub. Prior to eBay, John spent more than 20 years at Bain & Company, a worldwide consulting firm based in Boston. He received a BA in economics from Dartmouth College and an MBA from the Stanford Graduate School of Business. Additionally, John serves on the Board of Directors for eBay Inc. and Intel Corp.
A fifth-generation Irish American, John has roots in Tipperary. He and his wife, Eileen Chamberlain, have four children.